Perhaps I’m a shallow human-being, but listening to someone clip their fingernails while at work drives me absolutely nuts. Anyone else think that’s kinda nasty and inappropriate? The first person to say “just put your headphones on” gets a swift kick to the teeth! Having had a few weeks to play around with my new T-Mobile G1 (Android) phone, I feel like I can give a better “review” of this product – both from a software and hardware perspective. As you ought to know by now, Google has released an open-source OS called “Android”. Although the first iterations are aimed squarely at the mobile handset market, there is little doubt that Google is attempting to push Android even further. While still in the ‘infant stages’ as far as operating systems are concerned, Android is surprisingly polished and well-made. It’s not perfect, mind you, but they never are. 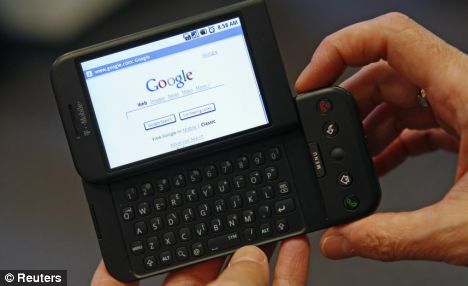 The very first Android-based phone on the market was released by T-Mobile, which is unusual for a company that tends to have a very not-cutting-edge selection of devices. With that said, I’m going to focus on the hardware of this device – made by HTC – for this particular write-up. Although I found the G1 to be somewhat ugly initially, it’s grown on me quite a bit these past few weeks. I really like the matte black finish — which does *not* smudge particularly easily — and the phone feels solid in your hand. The sliding mechanism, which reveals the physical keyboard, feels sturdy and moves easily. On the down side, however, I have noticed some very slight movement of the screen while I’m on a call. Slightly annoying, is probably the best description of it, and life continues without issue. The lower call / menu buttons feel good, if a bit too flush. The camera button (on the right) and the volume up/down buttons (on the left) feel fine. On the negative side, however, I’m not a fan of the “roller ball” that is nestled between the back and home buttons. It feels cheap to me, seems overly sensitive, and I really avoid using it as much as possible.. Perhaps the Blackberry Pearl users out there will feel right at home, though. Accessing the battery/SIM card by removing the rear cover was a bit cumbersome, in my opinion, though I’ve not needed to access either of them since. The cover for the MicroSD card is located near the ‘call’ button when you slide the screen away. Adding/removing a MicroSD card can be accomplished “on-the-fly”. At this point, the Android software does not feature any sort of “virtual” keyboard, so all text entry comes from the physical keyboard that is revealed as you slide the screen to the right (if held vertically; upward, if held horizontally). Like the call / menu buttons on the lower portion of the phone, the keyboard keys feel a bit “too flush” for my taste, which make accurate typing a bit of a chore thus far. I was, of course, expecting a bit of a learning curve with the keyboard as I migrated from my T-Mobile Dash, but it’s taken longer than I had expected. Also, the lower portion of the phone (call button area) ends up separating your right hand from the right-side of the keyboard ever so slightly. That has taken some getting used to. My biggest “peeve” with the keyboard? My T-Mobile Dash (also made by HTC) allowed you to type the ALT characters via two methods: 1) hit ALT + the key you need, or 2) hold the key for a moment, which would trigger the ALT character automatically. Strange as it sounds, the second method became second-nature for me! I was honestly quite surprised to not have this feature on the G1, since it seems so simple to do. Both my brother and I are really hoping that this might change with a future software update. What can be said about the G1 screen? It’s big, beautiful, and nice to look at. The resolution is nice, and the touch interface is fun-to-use… most of the time. The truth is, the touch doesn’t always register on the device, which can be slightly aggravating. At this point, though, I’m going to have to chalk this up to a software issue, and not hardware. Here’s hoping that a fix is coming down the pike. Although using a touch interface is nice and very natural, having a screen with fingerprints all over it quickly becomes annoying. Like many iPhone users that I know, I’m constantly wiping my display off on my pants or t-shirt just to remove the smudges. A “screen protector” of some sort would probably help with this, but they also typically affect the look of the screen negatively too, at least in my experience. All in all, the screen looks good – for the OS, pictures, web browser, and so on. It also seems sturdy and somewhat scratch-resistant. I carry my phone in either my jacket or pants pocket, and I don’t see any scratches thus far. I’ll keep this short. The G1 camera looks quite good, and is very easy to use – two areas where the Dash really fell flat. There is no flash, and the camera suffers from a bit of shutter lag as the auto-focus does its job. Still, the pictures look decent and it’s a reasonable “always with me” type of camera. As a bit of a help to others, you can also click the roller-ball to ‘snap’ pictures, which helps reduce moving/blurring while the photo is taken. The call quality has been very good, in my experience, though I find the phone to be slightly on the quiet side. I’ve found little reason to use anything but the ‘max’ volume level for either the earpiece or the speakerphone. Strangely enough, the Dash (again, another HTC device) had the same issue: just a bit too quiet for my taste. I’ve also noticed that the ringer is much quieter when the phone is set face-up on a desk – certainly because the speaker is on the back of the device. Whereas my Dash could be heard across the house, I often don’t hear my G1 very well. Both phones had the ringer turned up, of course. I can’t speak for the quality of my voice for those receiving a phone call from me, of course, but I’ve had no complaints. Also, I’ve talked with my brother G1-to-G1, and he sounds fine. No real discernable difference from the Dash, in this case. I have NOT used the USB-to-headphone adapter, unfortunately, though I do with they’d stuck with a simple headphone jack. The necessity of the adapter likely means that I’ll never use headphones with my G1. Just being honest here. The including stereo headphones appear painful, and I will NOT be using them. Pairing the G1 phone with my Motorola H375 Bluetooth headset was very straightforward and has (thus far) worked just fine. As an aside, the H375 has been a great headset! Well-priced, comfortable, easy-to-use, good quality, and nice to look at! On the bottom of the G1 is a (now fairly standard) mini-USB port underneath a flexible door. I could do without the cheap cover – which I might just remove – but I am ever-thankful for mini-USB ports that are frequently featured with newer devices. The ability to use a single cord to connect/charge my cell phone, Bluetooth headset, and other devices is really great. Connecting the G1 to my computer was pretty straight-forward as well. Plug the USB cord into my computer and then the mini-USB connector to my phone. The phone notifies you that you’re connected, and then you have the option to “Mount” or “Don’t Mount” the phone on your computer. Essentially, the default behavior when you connect your phone to your computer is to simply charge the phone *only*, which is nice. To connect to your phone as a storage device, just hit the “Mount” option and it will show up as a connected drive. You can access any files, photos, or whatever else you might have on the MicroSD card. The phone memory itself cannot be accessed, I believe. 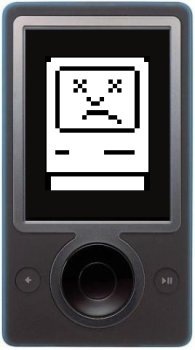 Coming soon…my G1 “software” thoughts! This past summer I wrote a quick blurb about something that I referred to as the “emissions test” racket. Essentially, the state vehicle emissions tests are all about making certain that our automobiles aren’t putting out higher-than-acceptable emissions from the tail pipe. If the levels are too high, then your vehicle fails. At that point you have to pay to get a tune-up (or some sort of adjustment) until the vehicle passes. Good times! Now, I’ve never had a vehicle “fail” the emissions test until this past July when the gas cap on my Saab “failed”, for whatever reason. You don’t really ever find out why. I immediately purchased a new ($25) gas cap, trotted back to the testing facility, showed them my receipt, and then received a “pass” on my emissions test. Did you catch what was missing there? They never, ever looked at my new gas cap, nor did they test it. The whole thing is a “racket”, I tell you. A money-grubbing racket. Imagine my surprise, then, when my fellow Saab-owning co-worker reports that his gas cap failed at his recent emissions test! The problem? Well… his gap cap is brand-new, Saab-branded, and totally legit. The second problem? Upon providing his receipt, they gave him a passing grade anyhow – despite that fact that it “fails” their testing. …and a few bucks in their pockets. Looking for the hot-selling Wii Fit Balance Board to slap under the Christmas tree this season? Look no further! Here it is. Actually, you should probably look a bit closer, since this clever Chinese company is looking to dupe a lot of unsuspecting buyers into thinking that their product is the real thing. “The 10 Movies You Shouldn’t Watch Online” could’ve been a useful article, if it gave legitimate specifics as per the article title, but it doesn’t. Instead it gives commentary like “You’ve Got Mail”: It’s just a little too cutesy to watch this romantic comedy on your computer, don’t you think? Honestly. It’s about as useful as this post.